It should have taken place during the first half-hour of OpenStack Summit 2017 in Boston, because it would have answered some of the biggest questions that OpenStack’s own representatives raised themselves: In a breathtaking surprise demonstration, directed by CoreOS CEO Alex Polvi and Cockroach Labs CEO Spencer Kimball [pictured below, left to right], representatives from no fewer than 15 cloud service providers utilize an OpenStack portal to enable clusters in their own clouds join, near-simultaneously, an established, running database cluster. There has probably been no greater, more publicly witnessed demonstration of the modern OpenStack’s capability to make multiple resources homogeneous with one another. And if anyone had any confusion about what OpenStack actually is, as the OpenStack Foundation admitted quite frankly yesterday, seeing this demo would put that question to permanent rest. CockroachDB is the product of a handful of Google veterans, some of them former roommates at University of California Berkeley. That said, Kimball told attendees the inspiration for his product’s name came from certain of its own characteristics. Although Tuesday’s demonstration may not have put all four of those characteristics specifically to the test, it may have been the penultimate demonstration of two of them: resilience under extreme stress, brought about by scaling. 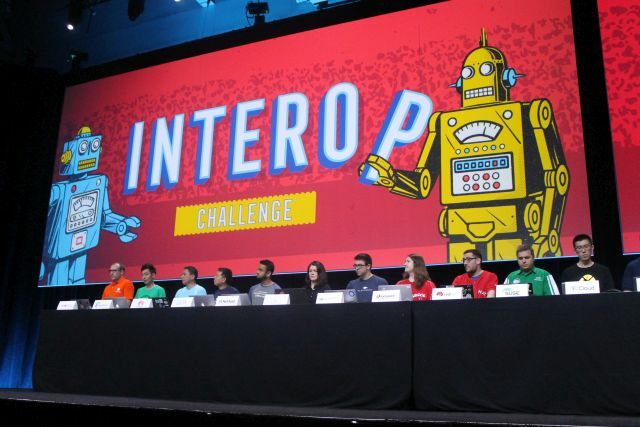 Representatives from Canonical, EasyStack, Huawei, IBM, NetApp, Open Telekom Cloud, Platform9, Rackspace, Red Hat, SUSE, T2 Cloud, Vexxhost, VMware, Wind, and ZTE – all of whose production cloud services are compatible with OpenStack – participated in this year’s Interop Challenge (the second, following the one staged by IBM at the 2016 event in Austin). This demo combined CoreOS rkt container images, running on Kubernetes clusters, connecting to a CockroachDB resilient cluster, on OpenStack infrastructure. Following the guidelines of OpenStack’s RefStack working group, which was formed to ensure interoperability, each of the 15 operators was tasked with running the same script for spinning up cloud clusters. 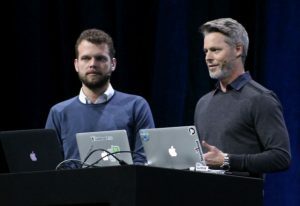 Each script created new security groups, provisioned Kubernetes pods, and attached those pods to the CockroachDB instance launched earlier by Kimball and Polvi. Their results would appear in Kimball’s Kubernetes dashboard, which would indicate the time elapsed for each new cluster being attached. It was not a race, especially since each cloud’s operating conditions were different from each other’s. Most indicated that some or all of their clusters were hosted outside the United States – EasyStack, for instance, is based entirely in China and headquartered in Beijing. What’s more, not all operators were running identical OpenStack configurations. Some scripts took only seconds to execute, others minutes. The difference is almost immaterial: The fact that they all executed successfully drew audible gasps and whistles from the crowd.